(Bloomberg) -- China’s booming equity market is getting closer to featuring its first 1,000 yuan stock. Four analysts tracked by Bloomberg predict liquor giant Kweichow Moutai Co. will get there within the next 12 months. The shares have rallied 47 percent this year, helped by a surge in sales that defied concern of a consumer slowdown. The stock rose 2.4 percent on Thursday, closing at 865 yuan ($129). Stock splits are rare in China and mostly occurred in the 1990s, according to data tracked by Bloomberg. 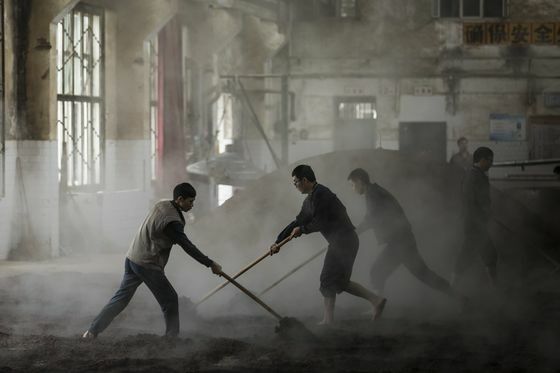 A Moutai representative didn’t immediately return a call seeking comment on whether the company plans to split its stock. Moutai has previously spurred debate around whether a stock that costs 1,000 yuan could be a problem for traders. When it was nearing 800 yuan early last year, local media reported that the Shanghai exchange was testing its systems to ensure there would be no technical glitches. A spokesperson for the exchange didn’t immediately reply to a request for comment on whether such tests have been conducted this time. Moutai has long been a favorite of foreign investors. 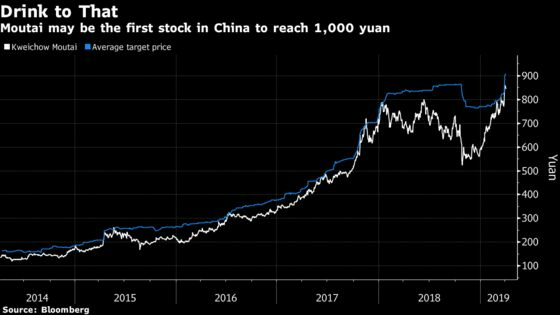 They’ve poured about 12 billion yuan into the stock this year through March via the trading links with Hong Kong, according to data compiled by Bloomberg. Foreign trading accounted for an average of 36 percent of its daily turnover in the past month. Changchun High & New Technology Industry (Group) Inc. is China’s second-highest priced stock at 308.49 yuan. 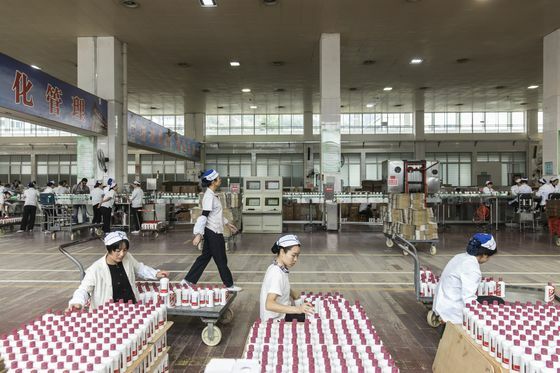 “Moutai enjoys the strongest branding power, highest margins, best return-on-capital and strongest free cash flow in China’s baijiu industry,” Citigroup Inc. analysts Xiaopo Wei and Richard Wenjia Lin wrote in a note last week.